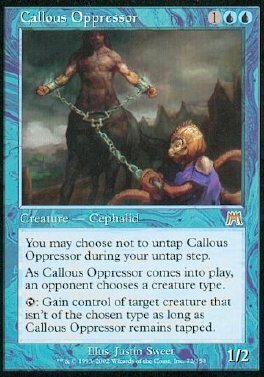 You may choose not to untap Callous Oppressor during your untap step. As Callous Oppressor comes into play, an opponent chooses a creature type. T Gain control of target creature that isn't of the chosen type as long as Callous Oppressor remains tapped.